Welcome to the 2019 Football Season at Cardiff City Football Club. We look forward to another fantastic & successful season both on & off the field. 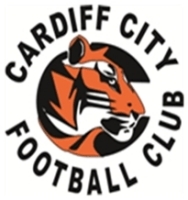 If you are an interested player looking to become part of CCFC please contact Chad Lane or Treasurer David Konik with any enquires. We welcome back New & Ongoing sponsors of CCFC and we encourage the entire Football community to thank them for their support in our 2019 Season. Cardiff South Butchery has been providing high quality meats, and supporting the local community for close to 50 years! !